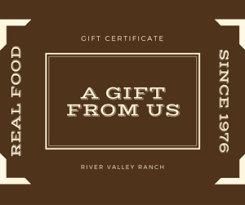 Give the gift of food with a River Valley Ranch gift certificate. Good at any RVR location, including markets. You will receive a printable gift voucher by email.